FIELD PLAYER GLOVES Just because you don't use your hands in football doesn't mean that they sh..
Fieldplayer Gloves These football gloves keep your hands covered in breathable, stretchy mesh. Fe.. 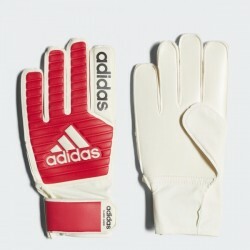 PREDATOR JUNIOR GLOVES POSITIVE-CUT TRAINING GLOVES FOR FUTURE STARS. Ideal for football train.. PREDATOR TRAINING GLOVES CUSHIONED TRAINING GLOVES FOR TAKING CONTROL. Ideal for soccer traini..
X Lite Gloves These football gloves are made to support the lightning-quick reactions of agile go..